This guest piece first appeared on Medium. Read more about MediaShift guest posts here. Every story that matters to one person can matter to one million. That is because every story read or seen by one million people started as a story that mattered to a single person. That story picked up editorial perspective and frames to climb the inverted impact pyramid, gaining audience and reach, to become relevant to a more demographically and geographically diverse audience. The higher a story climbs, the greater potential for impact it has. 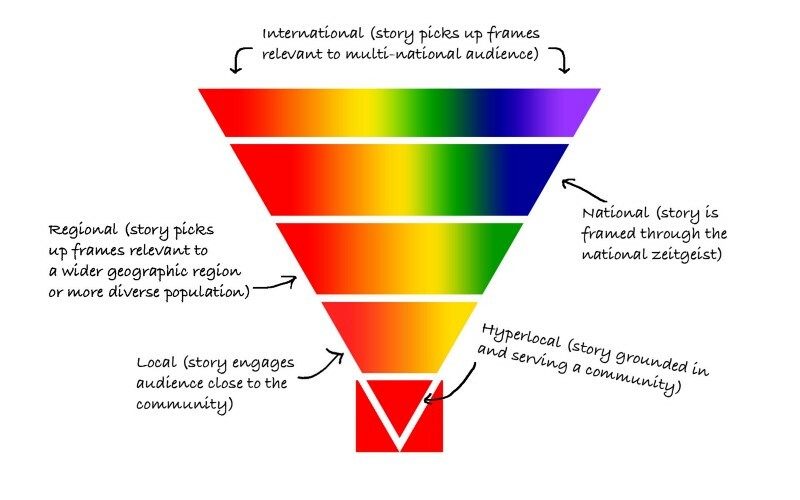 The inverted impact pyramid is a model that depicts the way in which a hyperlocal story intended for a small audience can become relevant to ever greater numbers of people, leading to a higher potential for impact. It also is a model that shows how any national or international story is grounded in a hyperlocal community. The term hyperlocal is typically used to define digital or print publications serving a relatively small geographic community. 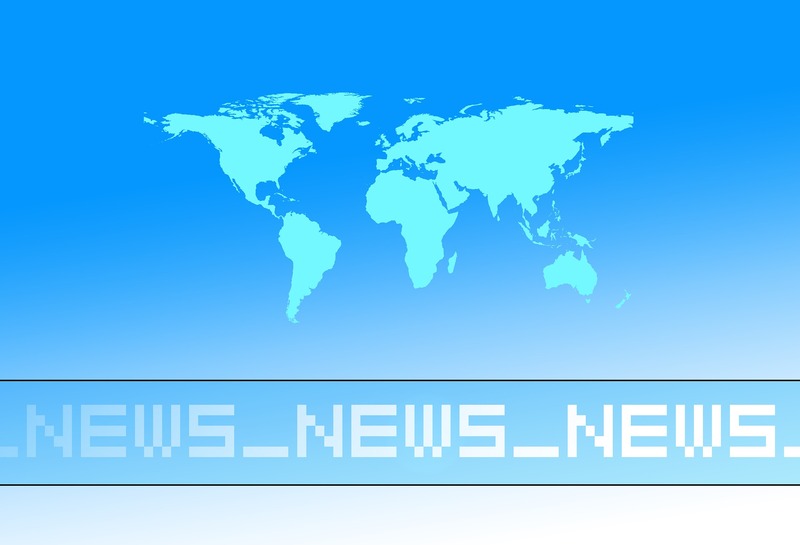 For example, news organizations serving a single town, neighborhood, or university can be considered hyperlocal. For the inverted impact pyramid, hyperlocal refers to both the geographically and thematically niche. Relative to stories ready-made for national and more diverse audiences, these hyperlocal stories are grounded in smaller communities and intended for smaller audiences. The transition from hyperlocal to local reach may not require as much forethought as others. This step typically occurs unintentionally as the hyperlocal story reaches audiences one degree removed from the intended reader. This step relies less on framing and more on market penetration. In other words, it’s not about how this story is written but by how many people one degree of separation from the intended audience it reaches. A story written about your hometown is relevant to its residents but also to a proportion of the residents of neighboring towns. Their interest in the story is inherent in their proximity to the subject. You may not have to convince them to read the story, you may just need to get the headline in front of them to click on. Similarly, a story about student debt is relevant to recent graduates with student debt but it is also relevant to their parents. Their parents have an inherent interest in reading the story, all that you have to do as a publication is get the headline in front of them. Stepping from local to regional audience and impact requires the journalist to do more narrative building. While reach can continue to be achieved by scrambling over degrees of separation, a more distinct story must be woven to make what was a story intended to matter to a small group matter to a larger one. In identifying a regional narrative, a writer increases the chance of relevance to more people. A story about crime in small town can be tied to crime throughout the state or region of the country. Images of Hillary Clinton struggling to use a New York City subway turnstyle can be used to frame a report on state and national infrastructure spending. The jump from regional to national is much like the jump from hyperlocal to local. It uses degrees of separation to be relevant to people outside the target audience. A story on regional transportation infrastructure is inherently relevant to neighboring regions. A story about minimum wage increases in New York is relevant to low-wage workers around the country and business owners in New Jersey. Repeating a pattern in the inverted impact pyramid, the national to international transition is similar to local to regional. To take the more recent example above, the story about minimum wage increases can be framed as a trend and explored through the lens of how it affects supply chains and low wage labor in the Global South. Just as the hyperlocal story climbed the pyramid, the international story has an inherent value at a hyperlocal level. The international story is built on top of this pyramid whether or not it was actively intended to serve a niche community. Every piece of content that matters to one million people has to matters to one first. The inverted impact pyramid is a model that considers story framing as a foundation on which to create relevancy for the largest number of potential readers. The greater your pool of potential readers, the more likely you are to secure a larger audience. This is why even some niche stories perform well when large publishers write them. Their high market penetration allows them to get their content in front of the eyes not of the niche target audiences, but rather of individuals degrees of separation from that audience. Considering the inverted impact pyramid can help in virality. The more relevant headlines and stories are, the more likely they are to be shared. However, even then, the content has to make its way through the three internet content filters. Simon Galperin (@thensim0nsaid) is a millennial journalist trying to change the world through the practice of journalism and development of new media models. He is currently in a M.A. program in Social Journalism at CUNY’s Graduate School of Journalism. He is also the managing editor of NJ Spark, a social justice journalism lab he has assisted in developing at Rutgers University, where he received his undergraduate degree in journalism and media studies. Previously, he was the senior editor at Jerrick Media, a digital media startup, and cofounded Muckgers, a hyperlocal alternative news website based in New Brunswick, N.J.